There is also an option to view the Events in calendar form. Before they can select the event (by clicking Enroll) the parent will be required to agree to the policies you outlined in the Event Type. A confirmation that the event has been enrolled in the event will display in a pop-up. At this point, the parent is taken back to the list of events where they can continue to select events to add. A confirmation email is sent to the registrant and also your organization. This email is sent to the Notification Email address designated on the Event Type. 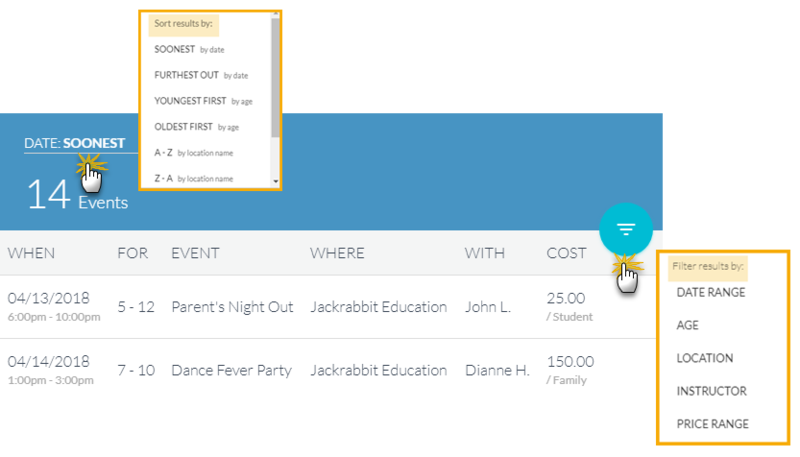 If your database is setup for Class Based billing , your parents will need to add the event(s) to the cart. A confirmation that the event has been added to their card will display in a pop-up. 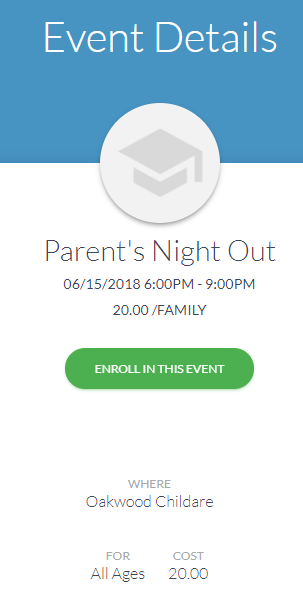 When all desired events have been added to the cart, the parent must click on the card icon in the top menu and click the Enroll Now button to complete the enrollments. 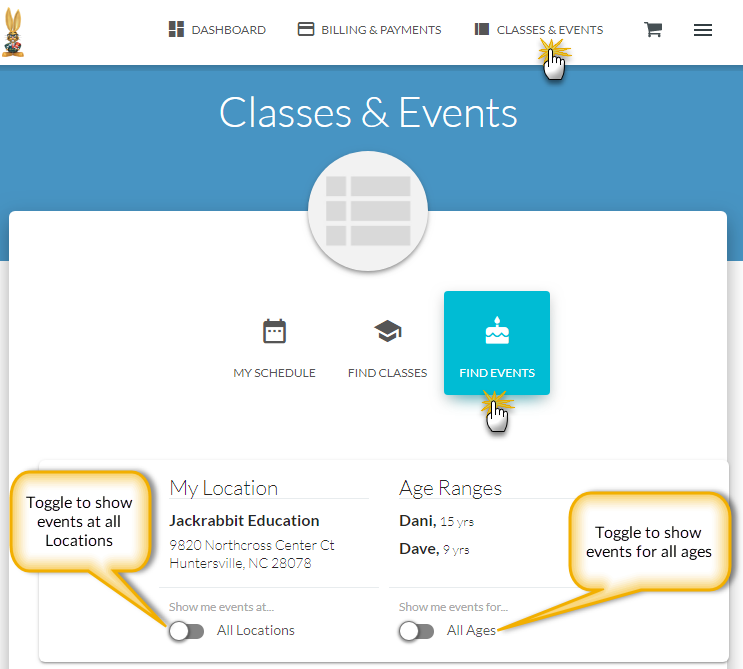 The Portal enrollment is viewable from the Family record > Misc tab > View Registrations button. It is also logged in Reports > All Reports > Parent Portal Log.